Adding physical activity to your routine has many benefits, but is injury-or the fear of injury holding you back? Use these tips from The American Heart Association to prevent injury during your workouts, but as always when beginning a new exercise routine, talk with your doctor. Start low and go slow with supportive, well-fitting, cushioned athletic shoes. Increase your walking time or distance by 10 to 20 percent each week. Replace your shoes every 300-500 miles to avoid the wear and tear that can contribute to injuries. Avoid blisters by wearing the correct socks. Studies have shown that synthetic fiber socks decrease blisters compared to cotton socks. 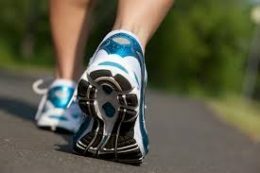 Prevent shin splints by wearing athletic shoes with adequate support and cushioning and gradually increasing your walking mileage and pace. Be sure and stretch your calves (both straight and bent knee) after walking. For those of you who have participated in this 8-week healthy lifestyle challenge before, you know just how fun it is! 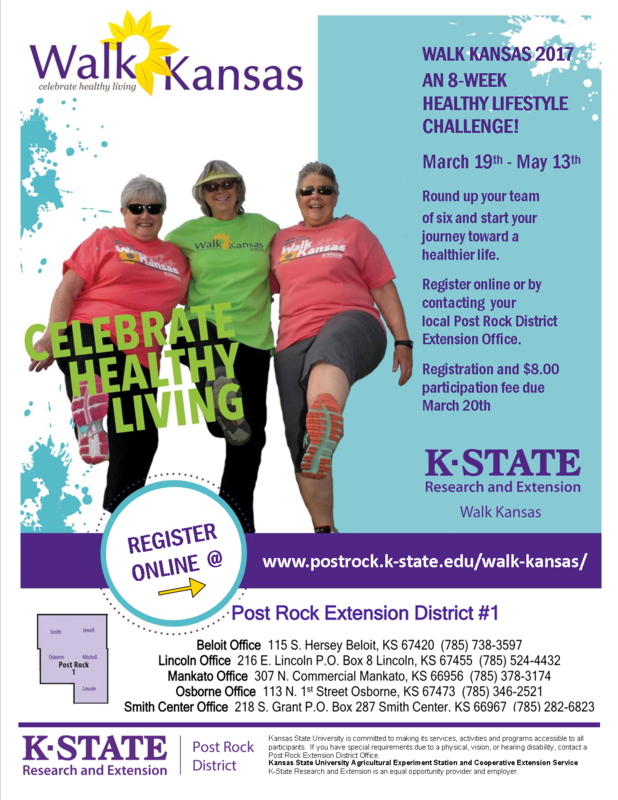 If you are new to Walk Kansas, it is a great program that motivates you to become more active and to increase your fruit, vegetable, and water intake. You have the option of gathering a group of 6 or register solo and we can find a group for you! Walk Kansas will begin March 19th and will go to May 13th. As a team of 6 or as an individual, you will log minutes of physical activity for 8 weeks. Each team selects one of three challenges they will collectively work towards. In order to accomplish the challenge, each person will have a personal goal. In addition to physical activity, participants will report the amount of fruits and vegetables they eat. Program participants will receive a weekly e-newsletter with motivational messages that focus on healthy lifestyle habits. This year, the Post Rock District will have giveaways associated with each weekly e-newsletter! 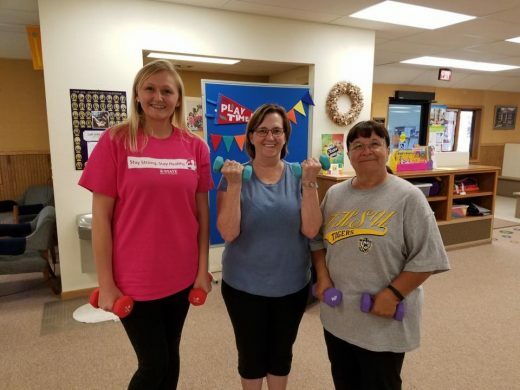 The majority of Kansas adults do not meet the minimum recommendations for physical activity, and just 19% of Kansas eat enough fruits and vegetables. By practicing healthy lifestyle choices, you can delay or prevent chronic disease, and symptoms of illness can be managed better. According to the Partnership to Fight Chronic Disease: If Americans were to stop smoking, exercise regularly, and eat well, they could prevent up to 80% of heart disease and stroke, 80% of type 2 diabetes, and 40% of cancers. The registration fee for each participant will be $8 and a shirt can be purchased for an additional fee. Both paper and online registration will be available on March 1st. 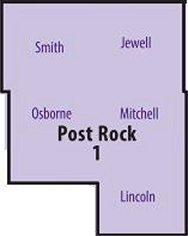 Captains packets will be available at each Post Rock District office and online registration is available following this link http://www.postrock.k-state.edu/walk-kansas/. 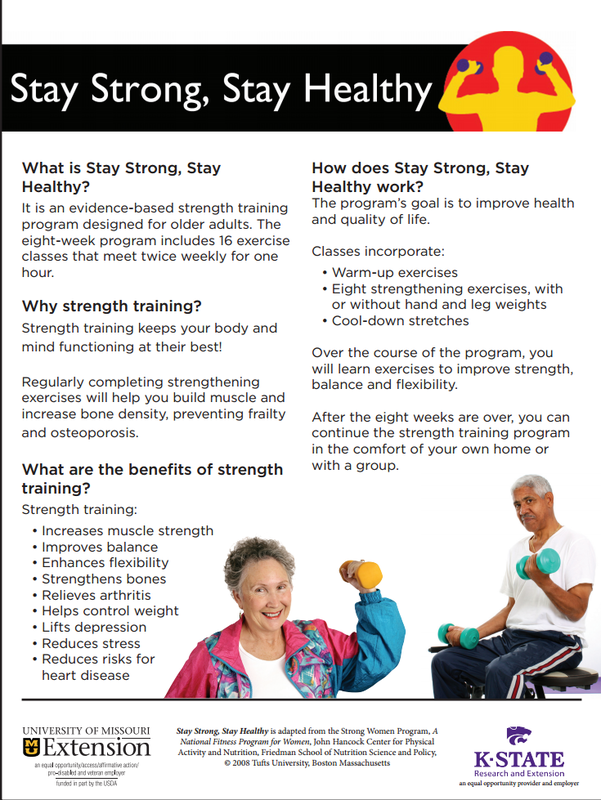 Stay Strong Stay Healthy is an evidence-based program for older adults who want to improve quality of life and stay active. Over eight weeks, participants will increase their strength and improve their balance and flexibility. The exercises are easy to learn, safe, and effective. All equipment is provided. Space is limited, register early by following the links or call the Beloit office (785) 738-3597 or the Mankato office (785)738-3174. Registration due by February 7th with $20 registration fee. Special thanks to the Dane G. Hansen Community Grant Fund-Jewell County for providing the funds to purchase a set of weights. Watch for upcoming dates for Osborne and Smith Counties! Do you enjoy walking or exercising? Would you like to increase how much physical activity you get? Would you like to become more motivated to eat more fruits and vegetables and consume more water? 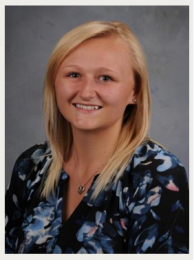 Walk Kansas is for you! Keep watching for updates for this eight-week health initiative that will begin in mid-march and run through mid-May.